Corporate CEO’s have been out there chasing the Quarterly-earnings Rabbit, essentially since the Reagan 80s. Where hotshot CEOs were once valued for enhancing the long-term health and welfare of the companies they manage, the thirst today is for ever-growing stock prices and they’re outrageously compensated for doing just that. 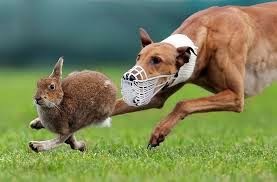 The $17.6 million Meg tucked in her savings account (aside from her $1 salary) mostly made up of $12.7 million in stock options and $4.4 million in stock awards—money slid across the table for ‘beating corporate targets’—breathlessly running down the rabbit. 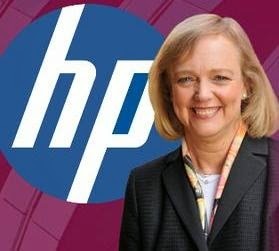 How did the HP quarterly report make such big headlines? Part of it was timing. The report was meant to be posted after the markets closed, but registered a few milliseconds early and fired-off all those algorithms Wall Street uses now in place of common sense. HP reported $27.3 billion in second quarter revenue, but ‘analysts’ expected $27.35 billion and that missing $50 million threw the dogs off-scent. That kind of cash gets lost behind the copy machines at HP. The turnaround is apparently going fine (except for the 50,000 pink-slipped employees) and progress is being made, but there’s nothing but frowns and bitten lips in Palo Alto over a 1.8% HP stock decline. But hey, put on your smiley-faces, Year-to-date, the stock is up 17.6%, exactly a million dollars a point for Meg. C’mon, folks, is this really how we want Corporate America to run—like the 5th race at the Daytona Beach Kennel Club? Not that we have a say, but it’s a cogent complaint. It’s probably just grouchy old me, but ninety days is a hell of a short time to run a company and still have to show up at the track. Are any decisions made at any major corporations that don’t consider the extortion of Wall Street? And extortion it is, the entire algorithm-based trading frenzy that pits earnings against production and enables raiders like Carl Icahn to hold boards of directors at gunpoint brings not a crumb of value to the table: they produce nothing, sell nothing, build no factories, support no research and development, contribute to no pension funds, sustain no middle-class and feed themselves entirely off encouraging the rabbit to run. Even California Chrome needed to be bred, fed and trained. No one in the colt’s brilliant career shorted the patience and care, or robbed his feed-bucket. Meg Whitman’s plans seem right in line with Carl’s goals; pink slips and enthusiastic stock-buybacks, up 27,600% from a year ago. Twenty-seven thousand, six hundred percent! Stratospheric stock buybacks goose the stock and send investors happily to the Hamptons, but they’re funded on the backs of fired employees and don’t leave much ready cash in the bank for the pink-slipped or the company. But what the hell, workers are an expense not an asset. Inquire at any McDonald’s counter. They’re resources, just like commodities: (definition) Available source of wealth; a new or reserve supply that can be drawn upon when needed and, we might add, discarded like hamburger-cartons. Corporations no longer have Personnel Departments, they have Human Resources departments. Even Meg is a human resource and she damned well knows it, but her pink-slip is a parachute and there’ll be another top job waiting. Whitman is playing the rules elegantly, but by a new book that’s unsustainable. Unfortunately, there’s too much cash available for anyone to notice the price being paid. HP is reportedly having problems in its computer division. As the world moves from PCs and laptops to tablets, one can only wonder if research and development at Palo Alto is being shortchanged, ignored or stripped of attention. Innovation is the key to technologically oriented companies and innovation doesn’t juice the Carl Icahns of the world, bless their greedy and self-serving little hearts. Not to lean on Meg too hard, but she’s being paid to have her attention elsewhere. My HP call-center in India is giving me a busy-signal, Meg.